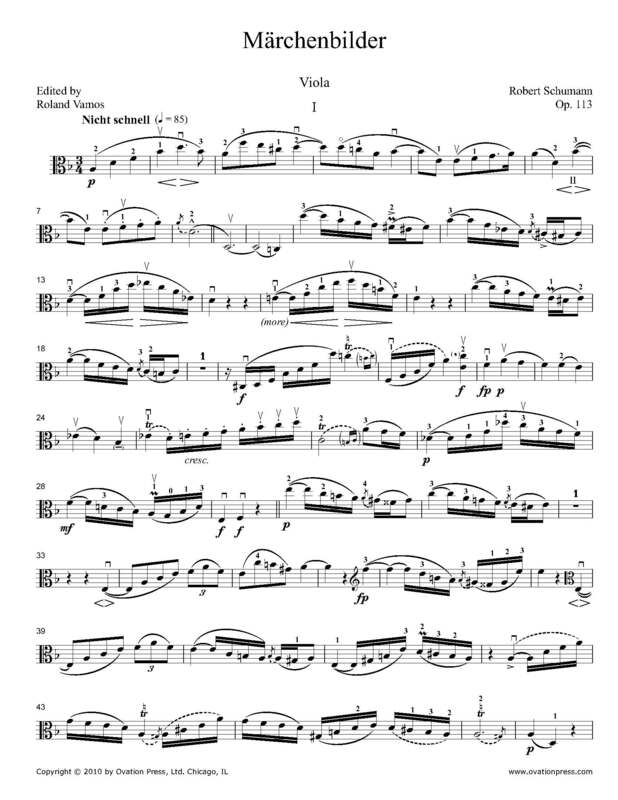 This piece is one of the major cornerstones of the viola repertoire. It has beautiful, lyrical melodies, and it lays very nicely on the instrument. Written during during Schumann's brief and relatively unhappy tenure as conductor at Düsseldorf in March of 1851, the Märchenbilder (Fairy Tales) consists of four character pieces and is one of the few original compositions featuring the viola and piano. Schumann dedicated these fantasy pieces to Wilhelm Joseph von Wasielewski, the concert master of the Düsseldorf Orchestra. Wasielewski has said that Schumann himself considered the works to be "childish pranks...with not much to them." These delightful fantasy pieces draw the listener into a glistening world of fantasy and childlike imagination.